Posted on November 03, 2014 in Columns, Slideshow, What's APP-ening? Have you ever gone out to eat with a friend and you ended up paying for their meal because they didn’t have enough money? Did your friend tell you that they would pay you back but never did? Well, with Venmo, you can automatically charge them for the money you spent. The app first became available to the public in Aug. of 2011 and quickly gained popularity. According to the New York Times, from the time of its public debut it was processing 10 million dollars in payments and grows by 30 percent per month. Available on Android and iPhone, this app is owned by eBay’s PayPal unit and makes it easy to pay and receive payments from your friends and family. The app is free and has recently become a really big hit on college campuses. All you need to do is download the app and it automatically sifts through your contacts to connect you to those who are using it, add your debit or credit card info and then you can bill or cash money as you please. You can leave your friends little blurbs on the payment, like a transaction, and the best part is your cash out appears in your bank account overnight on business days. The app makes payment exchange easy, quick, and painless. 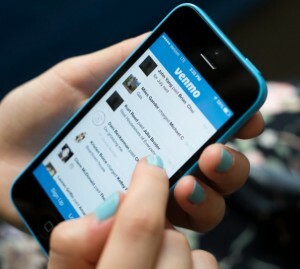 Venmo is changing the way we pay. Before you go out to eat with your friends this weekend, or loan your sister some cash, make sure you download the app and charge accordingly!